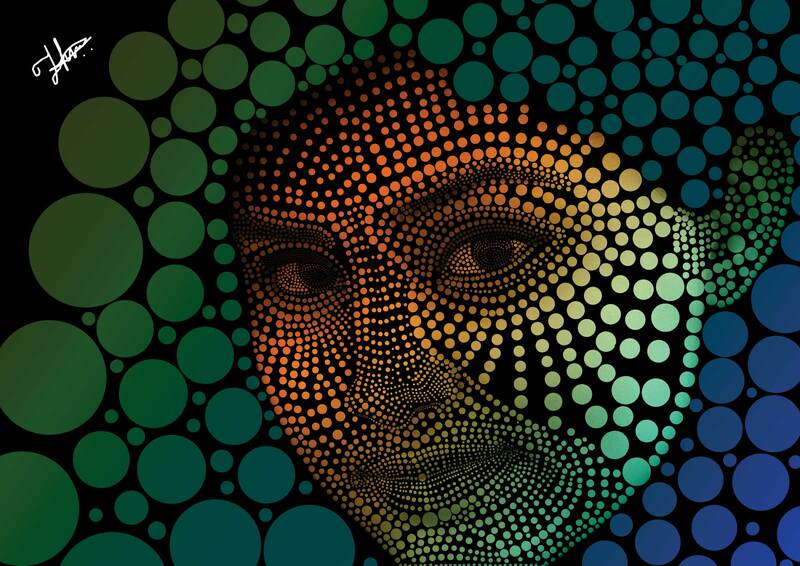 Portrait of Theia – A Dotspot artwork. Hello there world! This is a genre I am interested to work with these days. I was studying about human topology and muscle system. Suddenly I discovered something interesting. What if I design a human face with this topology not with lines or strokes but with some dots! And boom!! start it!! and this is the result. Every dots are put one by one. Yes it’s crazy!! It takes one week of effort and coffee with late nights. But after finishing it I am really happy with this piece. I think this could be a good genre to work with specially in ceramic art or fabrics. So what do you think? Give me some feedback please. More pieces are coming. You are very talent. Your work is very creative and unique. My pleasure Nazzari! Can I share some of your sellable art work in social sites? i know some places. Very nice artwork! Keep on going in the direction you’ve found! Also want to thank you for visiting my blog! Much appreciated! Thanks ArtistMum!! Thanks for your appreciation.